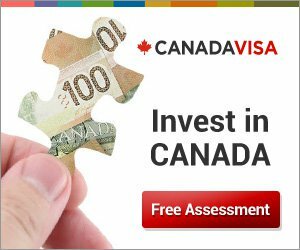 Attorney David Cohen and his team of Canadian immigration specialists are dedicated to assisting you with achieving your goals of immigrating to Canada with your family and developing your business career in Canada. Attorney David Cohen is Senior Partner at the Campbell Cohen immigration law offices, and leads the Canadian Business Immigration team on all client mandates. David graduated from prestigious McGill University’s Faculty of Law, and is a member of both the Quebec and Canadian Bar Associations, as well as the American Immigration Lawyers Association. David started his own practice in 1976, just when the Canadian government was radically changing its immigration laws and policies. In 1994, David became one of the first lawyers to offer a full range of Canadian immigration services to prospective immigrants and foreign temporary workers over the Internet. He is also the managing editor of the Canada Immigration Newsletter, which appears monthly. David is a member in good standing of the Canadian Bar Association, Le Barreau du Québec and the American Immigration Lawyers Association. Daniel Levy acts as a Senior Attorney, Temporary Residence and Admissibility Specialist at Campbell Cohen. Prior to joining Campbell Cohen, Daniel completed a B.A. at Concordia University and has also completed a Common and Civil Law degree at McGill University Law School. He has been working with Campbell Cohen since May, 2009, and currently specializes in all classes of immigration to Canada, including Investor and Entrepreneurial applications, Work Permit applications, as well as criminal and medical inadmissibility.